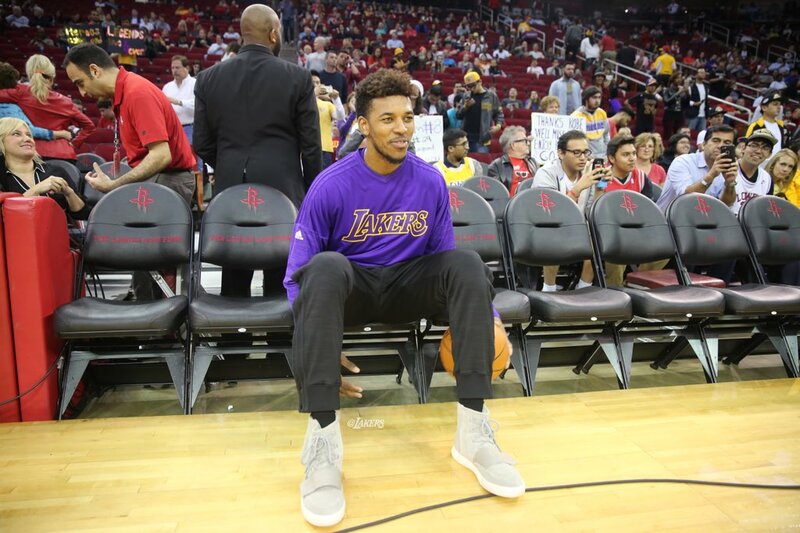 Swaggy P may have solved the champs. Randle was correct — a day later, Young played the Philadelphia 76ers wearing West's "Core Black" adidas Yeezy 750 Boosts. Still riding the high from his brandmate's co-sign, Young spoke to reporters following the Lakers' 97-77 victory over the Phoenix Suns Sunday night. Fresh off stuffing the stat sheet with 3 points and 1 rebound, Young was asked for his thoughts on taking on the defending champion Golden State Warriors on Tuesday. His response? That's right, the key to stopping one of the most dominant NBA teams in recent years is listening to "Facts." When the reporter asks for clarification on whose facts Young would be listening to, he responds, "By Yeezus, you know? He jumped over the Jumpman." The best part of it all is that Young is probably legitimately more excited about his name drop than the Lakers' current win streak. Hard to blame him.